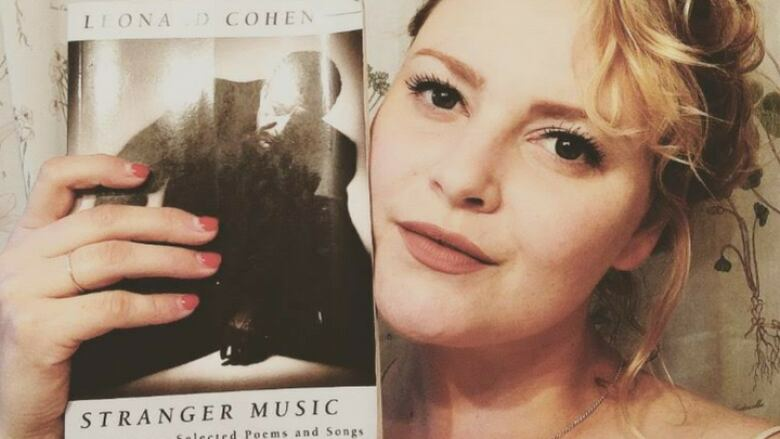 The Winnipeg-based singer-songwriter talks about the continual inspiration she gets from Leonard Cohen's Stranger Music. Stefanie Blondal Johnson is the lead singer in the Winnipeg-based band Mise en Scene. The singer-songwriter often turns to Leonard Cohen's poetry collection Stranger Music for inspiration. "As a writer and a musician, it's been important to try and express very big emotions and sentiments within a few sentences. I'm always trying to read poetry as a way of refining my own craft in songwriting, and to continually be inspired by the people who use words to emote and honour certain emotions and memories." "I find that Leonard Cohen's voice and the way he speaks about his longing and melancholy is something that I relate to and and look up to. I'm really inspired by that. He uses words and metaphors in a way I wish I could. A good book is like a good friend so I've never put Stranger Music down. I've never finished reading it and I don't think I ever will. This book is always with me. It's always open, there are a lot of bent pages and notes around certain poems." "I'll mark the poems I like with the date and come back to it years later and not relate to it anymore. I make a lot of notes in these books because it keeps me present in terms of where I've come and where I'm going emotionally. Some hit me so hard, they were exactly how certain moments were in my life. There are other ones that I don't relate to at all, but years later I do. This book continues to grow with me, and that's why it's so important to me." Stefanie Blondal Johnson's comments have been edited and condensed.